I was put on the trail of Patrick R Chalmers’ curiosity, Racing England when stumbling across a reproduction of the front cover in one of those nostalgia heavy, romanticised visions of Britain that the National Trust do so lavishly. 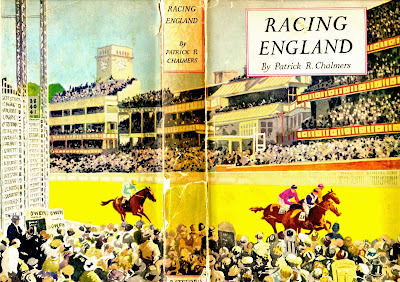 Flicking distractedly through its pages in the gift shop of the Rothschild’s neo-Renaissance pile at Waddeson Manor, I stopped immediately at Brian Cook’s block coloured representation of Ascot Gold Cup Day from the early 20th century. It was a thing of simple beauty. Brian Caldwell Cook, was born in the leafy lanes of Gerrards Cross in 1910. 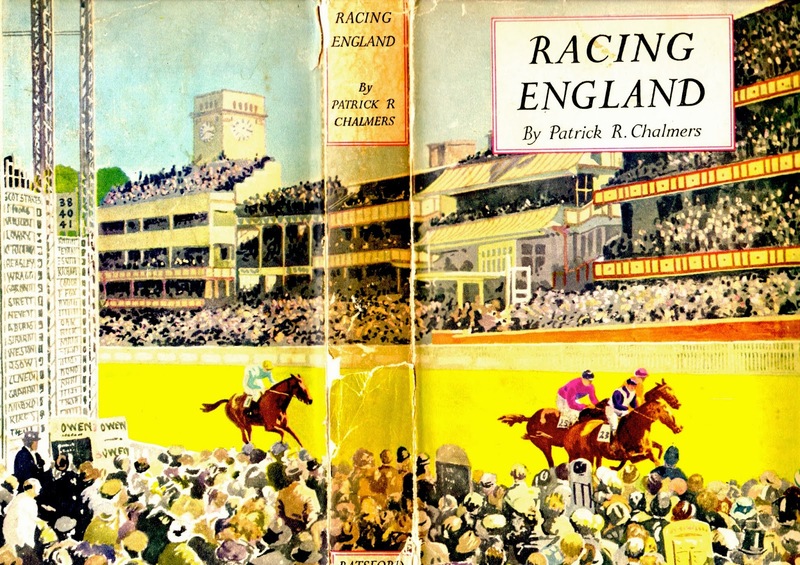 He created the lithograph that would become the cover to Racing England in 1937 and the book was eventually published in 1939 by Batsfords, the old-established London publishing company of which his Mother was a member. 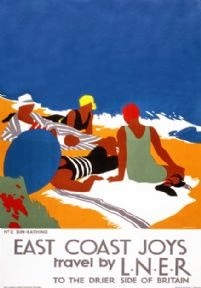 Cook would go on to produce many covers for the company in this series, with titles such as Hunting England, Farming England and Villages of England. Tracking down copies of the book online wasn’t difficult. But finding one with an intact dust cover of the lithograph proved harder. I don’t think the book or the cover are particularly collectable, but I was prepared to part with a few quid to get a reasonably nice one. So when one turned up through a second hand specialist requiring the investment of a whole £6 it seemed like decent value. The transaction was made. Cook’s art is still wrapped right around the book from front to back and the condition is pretty good, given its likely exposure to the years. The colours have faded a little compared to the copy I saw in the National Trust book. But not much. The spine is darker than the rest of the image. I guess it has attracted dirt through grubby fingers and pawing thumbs. What engrosses me about this piece of graphic art is the style as much as the subject. The ‘blatant and strident’ colours (in the words of the artist) used liberally to create a vibrant, uplifting scene. They must have been stunning on the original. 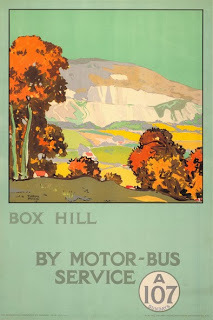 It echoes many of the optimistic, bucolic art-deco designs used to advertise the inter-war golden age of steam like LNER’s ‘East Coast Joys’ (Tom Purvis) and the expanding public transport network, ‘Box Hill by Motor Bus’ (F Gregory Brown). I know now that the process is achieved by the Jean Berté process, which used rubber plates and water-based inks. That said, the subject is equally engaging. It depicts the finish to the Ascot Stakes handicap at Royal Ascot viewed from within the betting ring on the heath. Three closely matched horses are bearing down on the finish line framed by a ramshackle collection of packed stands. This Ascot is unrecognizable from the current course. A corporate-friendly building styled more like an airport terminal with the atmosphere of a doctor’s waiting room now occupies the approximate site of these tiny helter-skelter stands. 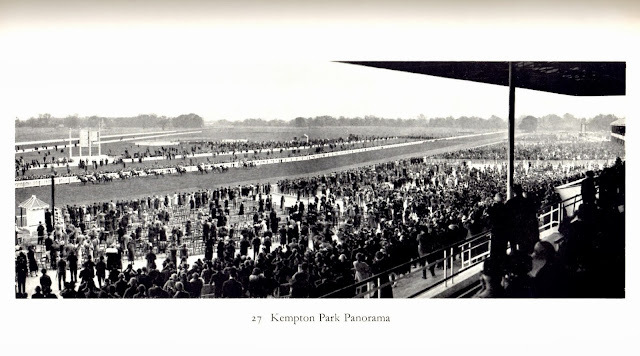 The wrought iron three column race information indicator – fore-runner of the tote boards - is also long gone. In fact the heath side of the track has not hosted bookies or punters for many years. Even the track itself has been realigned. Take a look at the jockeys, too. Long legged, upright positions which seems to push them half way round the horses’ necks. Some of the earlier chapters deal with formative events and early luminaries of the game. Admiral Rous, Bunbury and lineage of the thoroughbred racehorse get some laboured, rather prosaic coverage. Much more interesting are the sections devoted to horses, jockeys and owners. Alongside the profiles of better known jockeys such as Sir Gordon Richards and Steve Donoghue is an interesting piece profiling the American rider Tod Sloan. “Sloan was the pioneer, and possibly the greatest exponent of the new style – the monkey-on-a-stick style, the style that rides ‘short’, the knees tucked up, the chin upon the horse’s withers. Fred Archer’s career is also examined in depth. Chalmers describes the devastating wasting (10 stone out of season down to 8 ½ stone when riding) and tragic suicide at the age of 29 in typically thorough, though surprisingly matter of fact terms, given the predilection towards flabby yarns about trifling incidents elsewhere in the book. 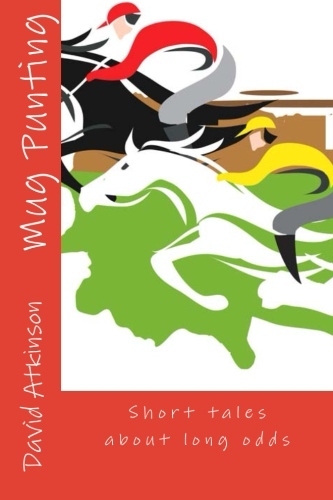 “Melton drew up to Paradox 150 yards from home and thenceforward to the winning post the two horses were engaged in a tremendous struggle for the mastery. As entertaining (for some part) as Chalmers’ stories are, I find the illustrations, plates, engravings and photos equally and some times more compelling. Of course the stunning cover by Cook is the reason I tracked down the book. 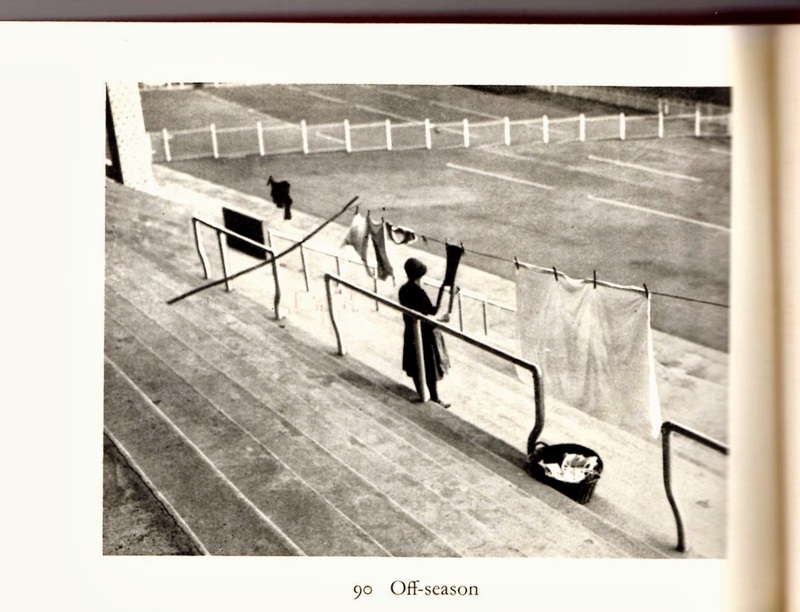 That powerful image and the photos dating from the late 19th century up to the verge of World War II capture a phase of the sport long gone. 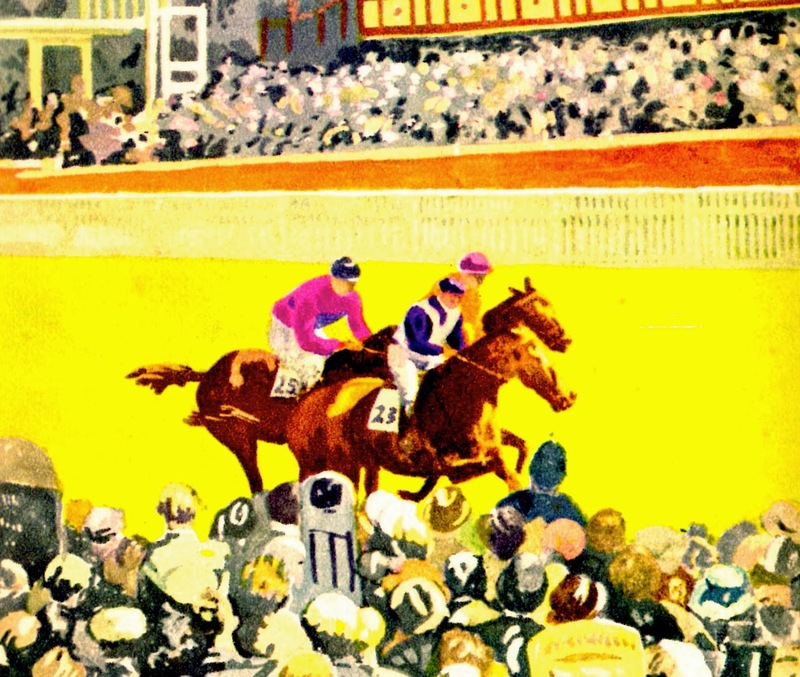 Defunct racecourses, outmoded betting practices, changed fashions, rebuilt architecture and infrastructure. But above all, the vast, vast crowds. There were fewer meetings at each course back then, and, by and large, sport did not have so many rival distractions as now. Attendances at football matches and greyhound meetings were similarly huge. 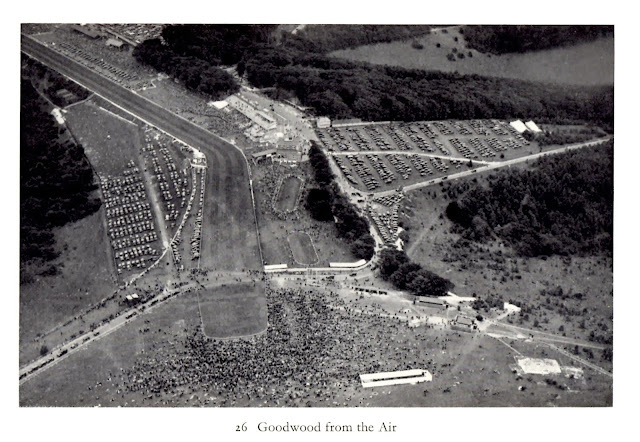 Every image here seems to feature people wedged into terraces, platforms and stands, rows of bookies five deep at mid-week fixtures, or punters lining both sides of the running rail for furlongs up the track. The queue for a pint and a pie does not bear thinking about. 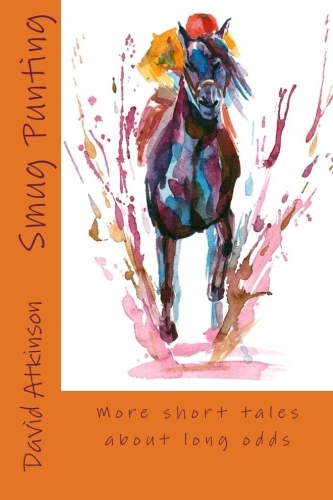 This book hardly gets a mention in the top rank of racing literature. That’s probably about right, given the overall scope of the material. But it’s a fascinating period piece at worst and will take high order in my own library, spine displayed proudly to attract another generation’s grubbiness.